As you can see from the photos....we have the perfect setting for your mountain retreat! The downstairs bath has been fully renovated with a shower, new dresser style sink and lots of original charm. The storage closet is one you won't soon forget. You will be telling your contractor to add one to your bath at home! One window unit in the sitting room downstairs and one window unit in the guest bedroom upstairs. Original wood burning fireplace with stove insert. Parking for 4 or more cars, easy! Keurig Bring your K Kups! I will have a few on hand for emergencies! Charming 1920's cabinets, made from leftover wood from the construction of the house. Modern appliances and utensils. 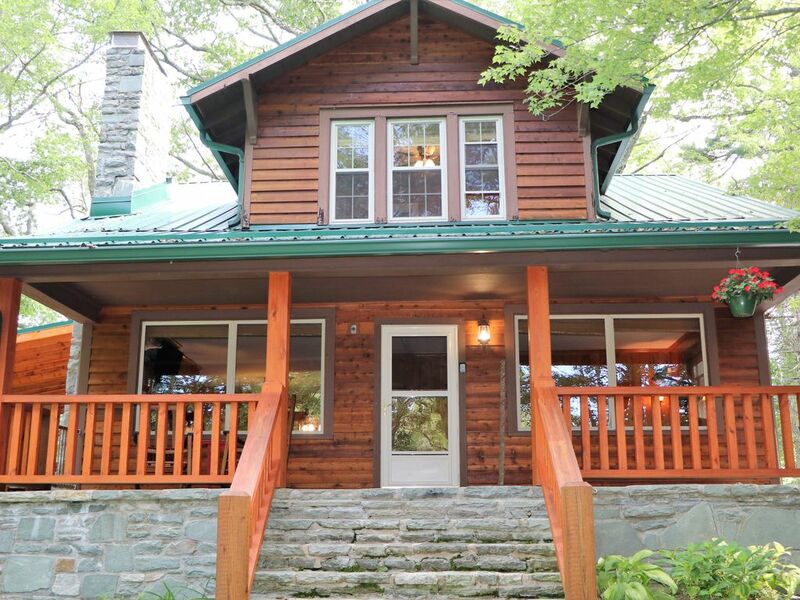 The Bear Cub Cabin is located in the heart of Banner Elk, just off the Lees McRae Campus. It is within walking distance to restaurants, shops, festivals, concerts and playground.